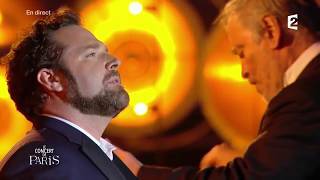 Bryan Hymel continues performances of La Traviata at Opera National de Paris, singing the role of Alfredo alongside Maria Agresta, Sonya Yoncheva and Irina Lungu alternating the role of Verdi’s fallen woman. Bryan performs La Traviata at the Opera National de Paris on June 4, 7, 11, 14, 17, and 29. Watch Bryan and Maria Agresta perform “Libiamo ne’ lieti calici” at Opera Bastille.